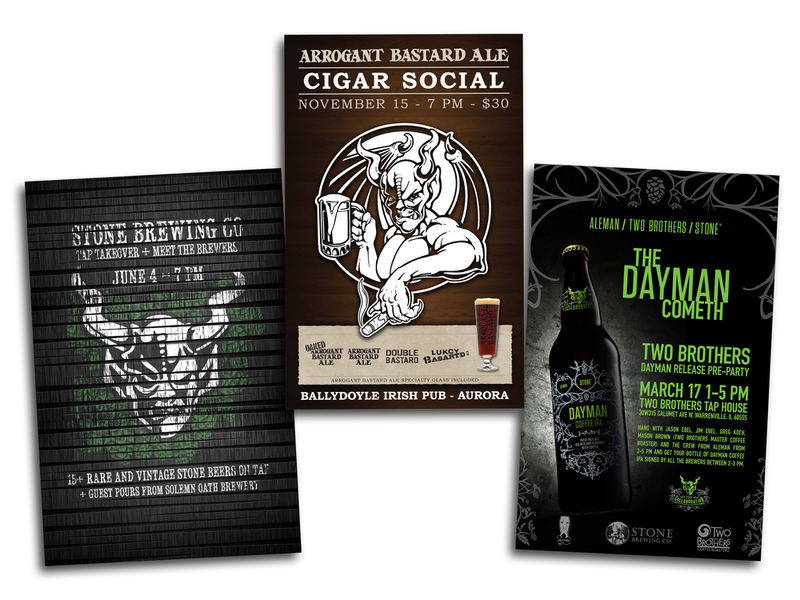 Promotional poster designs for various events at bars and restaurants throughout the city. 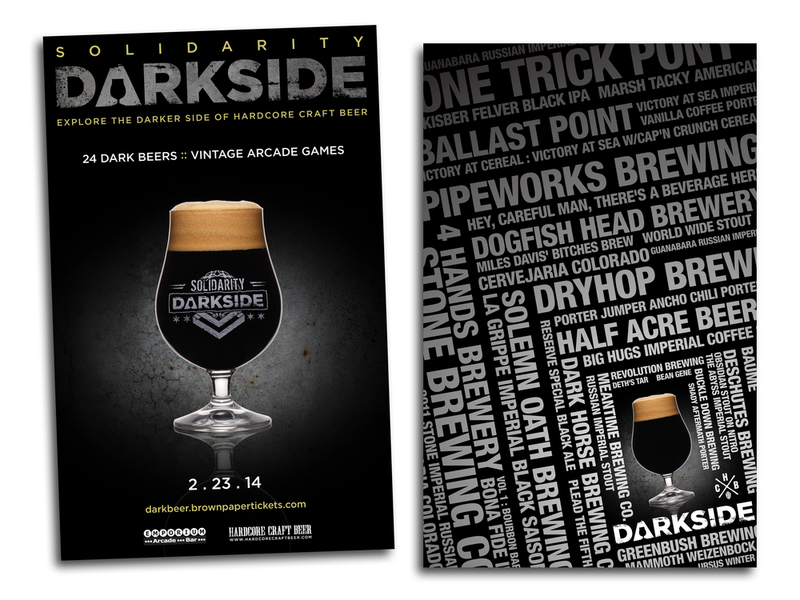 Promotional material fo an annual craft beer event that features dark beers and vintage arcade games. 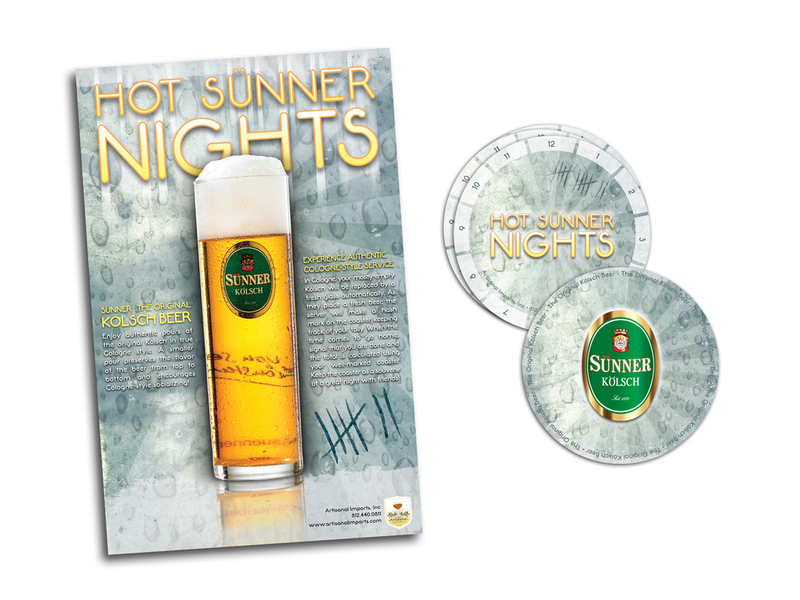 Nationwide promotion for Sunner Kolsch that included poster, apparel, and bar top items. 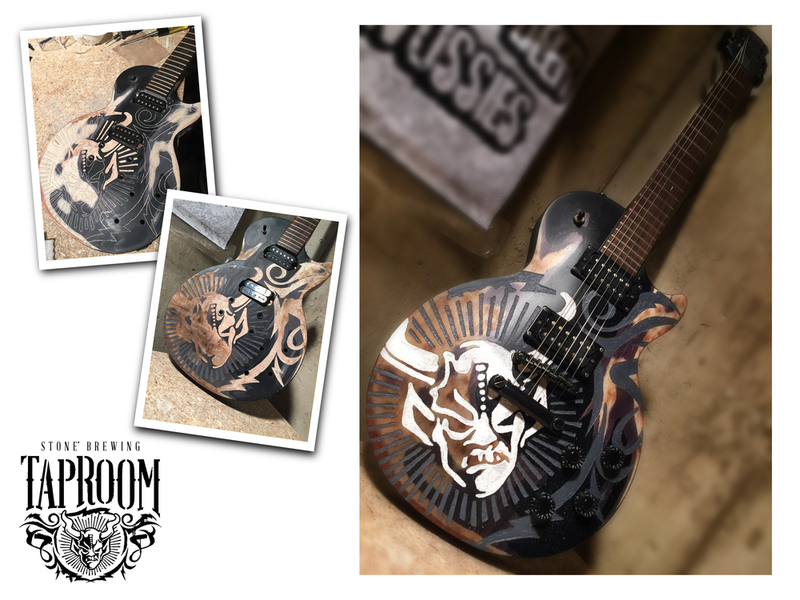 Hand carved and painted guitar for the Stone Brewing Tap Room in San Diego. Small QR card and poster design for an annual, brewery sponsored beer event that takes place onboard a boat in Lake Michigan. Apparel design for Stone Company Stores throughout Southern California and online. 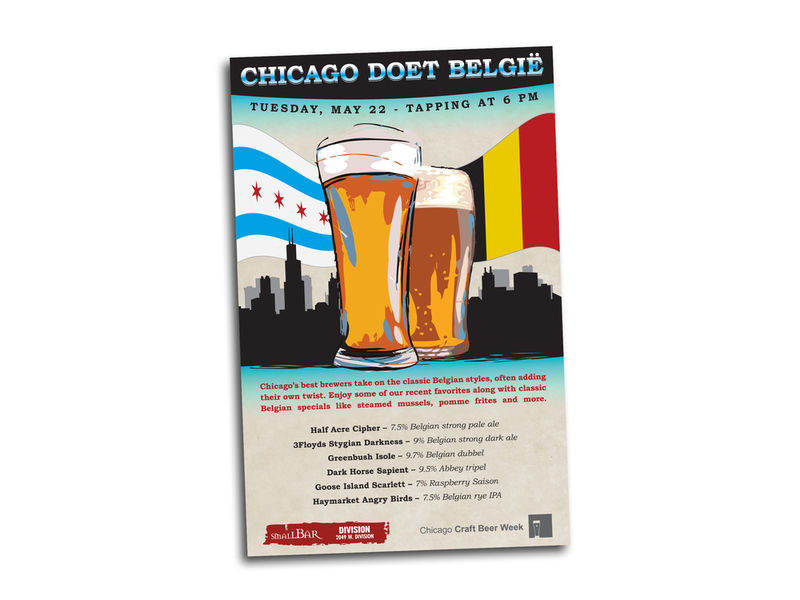 Promotional design for Small Bar Division's Chicago Craft Beer Week event, Chicago Does Belgium. Definitely a one-off concept, this layout took a slight detour from Small Bar's typical design style and went with more flat, bold colors and layers. Various promotional poster designs for Stone events and events and Stone has been involved in. Draft box cover custom designed and built for Midwest Boulder Beer representative. 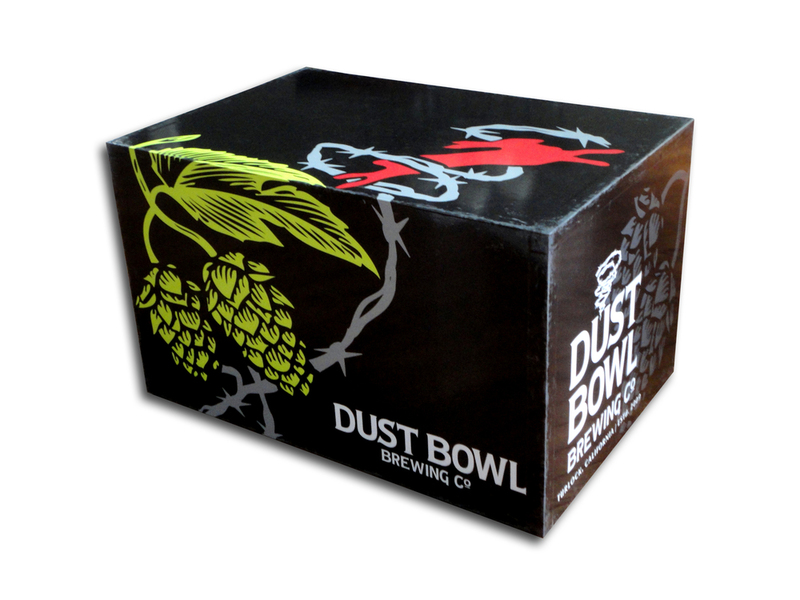 One of two draft box cover designs for Dust Bowl Brewing Company out of Turlock, CA. Cover was custom designed and built. Draft box cover custom designed and built for Midwest Stone Brewing Co. representative.